In this stage, we experience the sudden eruption of an extreme amount of variations. The move that contributes substantially to solving the problem can be found here. Black's very decisive move is the epitome of a "counter-intuitive" move, so it is very difficult to discover. However, if Black does not find the correct move, he has no chance left of winning the game, as much as he ever tries. 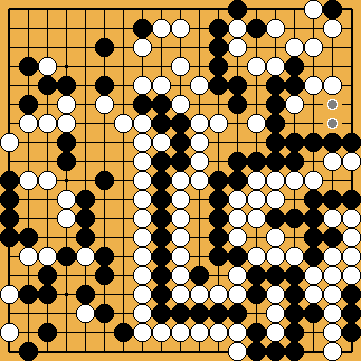 White can only minimize Black's lead. White might try to complicate the matter, but she will not have striking success eventually.